Alberta Community Development. The Story of the Turner Valley Gas Plant and the Turner Valley Oilfield, Edmonton: Government of Alberta, n.d.
Anderson, Allan. Roughnecks and Wildcatters: Hundreds of Firsthand Exciting Stories...of the Oil Patch. Toronto: Macmillan of Canada, 1981. Anderson, F. J. Natural Resources in Canada. Toronto: Methuen, 1985. Anderson, Owen L. Oil and Gas Conservation on Canada Lands. Calgary: Faculty of Law, University of Calgary, 1985. Canadian Institute of Resources Law working paper 7. Anderson, Owen L. “A History of the Petroleum Industry in Canada to 1947,” unpublished report prepared for National Museum of Science and Technology, 1992. Angert, Cory. “The Early History of Oil in Canada: An Industry Fuelled by Entrepreneurship, Innovation, Marketing Expertise and Unique Management Styles”. BBA thesis, University of Houston, 2007. Askew, J. Coulson. “Continentalism Versus Nationalism: The Party Politics of Oil and Gas Pipelines in Canada, 1949-1976.” MA thesis, University of Western Ontario, 1977. Auxier, G. W. The Story of Oil. Calgary: Western Canada Petroleum Association, 1953. Avery, Bryant, and Jim Farrell. 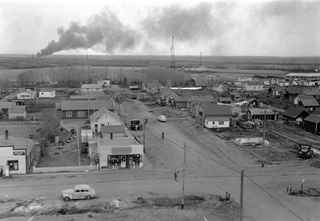 “The Strike That Changed Alberta, Leduc No. 1 Began Gushing Oil Fifty Years Ago.” Edmonton Journal 14 February 1997. Baker, Ron. Oil & Gas: The Production Story. Austin: Petroleum Extension Service, Division of Continuing Education, University of Texas, 1983. Ballem, John B. The Oil and Gas Lease in Canada. Toronto: University of Toronto Press, 1973. Bankes, Nigel. Recent Developments in Oil and Gas Law. Calgary: Canadian Institute for Resources Law, University of Calgary, 1999. Beach, Floyd K. Alberta’s Petroleum Paternity. Gardenvale, QE: National Business Publications Ltd., 1956. ______. The History of Alberta Oil. Edmonton; Department of Mines and Minerals, Government of Alberta, 1940. Beigie, Carl E. et al. The Canadian Oil Industry in Context: An Overview of an Independent Economic Analysis. Calgary: Shell Canada Limited, 1981. “Black Gold: Canada’s Oil Heritage” Oil Museum of Canada. Libraries Museums Galleries, County of Lambton. http://www.lclmg.org/lclmg/Museums/OilMuseumofCanada/BlackGoldgood/Welcome/tabid/226/Default.aspx (accessed May 16, 2013). Boersma, Dora et al. Summary of Spill Events in Canada, 1984-1995. Ottawa: Environment Protection Agency, 1998. Bott, Robert. Our Petroleum Challenge — Exploring Canada’s Oil and Gas Industry, 6th ed. Calgary: Petroleum Communication Foundation, 1999. ______. “Petroleum Industries” The Canadian Encyclopedia. Historica-Dominion Institute. http://www.thecanadianencyclopedia.com/articles/petroleum-industries (accessed May 16, 2013). Bower, Tom. Oil: Money, Politics, and Power in the 21st Century. New York: Grand Central Publishing, 2010. Bradley, Celeste and Andrew Sharpe. A Detailed Analysis of the Productivity Performance of Oil and Gas Extraction in Canada. Ottawa: Centre for the Study of Living Standards, 2009. Breen, David. Alberta’s Petroleum Industry and the Conservation Board. Edmonton: University of Alberta Press, 1993. Brevard, Katherine McLean. The Story of Oil: How It Changed the World. North Mankata, MN: Compass Point Books, 2010. British American Oil Company. The Story of Oil. Toronto: British American Oil Company, c. 1964.
Business Council on National Issues. Energy Imperative: A Perspective on Canadian Oil and Natural Gas Policy. Ottawa: Business Council on National Issues, 1984. Calder, W., and R. M. S. Owen. “Alberta Oil and Gas Development”, Journal of Institutional Petroleum Technologists, September 1935. Canada. Department of Energy, Mines and Resources. 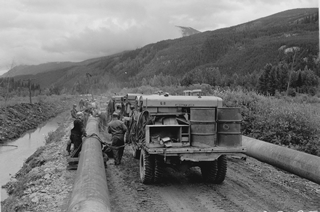 Canadian Energy Chronology 1945-1985: Energy Developments and Policy Decisions. Ottawa: Government of Canada, 1987. _____. Oil and Gas in Canada: History. Ottawa: Government of Canada, 1978. _____. Oil and Gas in Western Canada. Ottawa: Government of Canada, 1989. _____. The Canadian Energy Record, 1945-1985: An Overview of Energy Development and Policy Decisions, Ottawa: Government of Canada, 1987. 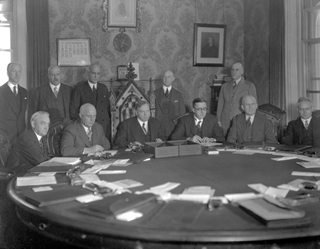 Canadian-American Committee. Keeping Options Open in Canada-U. S. Oil and Natural Gas Trade: A Statement, Washington & Montreal: Canadian-American Committee, 1975. Canadian Petroleum Hall of Fame. http://www.canadianpetroleumhalloffame.ca/index.html (accessed May 16, 2013). Carmichael, Robert. Oil and Gas Law. Halifax: Dalhousie University Faculty of Law, 2008. Carpentier, Jean-Marc. 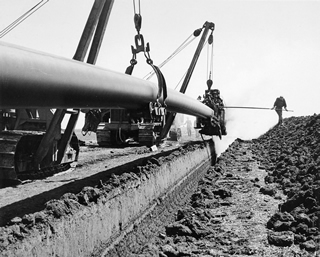 Our Energy Heritage: Oil and Gas. Montreal: Meridan Press, 1989. Chambers, John W. “Report on Leduc Oil Well No. 1,” unpublished study prepared for Historic Sites Service, Alberta Culture, no date. Chapman, Keith. “Public Policy and the Development of the Canadian Petrochemical Industry”, British Journal of Canadian Studies, 4 (1989). Chodos, Robert, Rae Murphy and Eric Hamovitch. The Unmaking of Canada: The Hidden Theme in Canadian History since 1945. Toronto: J. Lorimer and Co., 1991. Clark, James Anthony. The Chronological History of the Petroleum and Natural Gas Industries. Houston: Clark Book Company, 1963. Conaway, Charles F. The Petroleum Industry: A Nontechnical Guide. Tulsa: PennWell Publishing Company, 1999. Crane, David. Controlling Interest: The Canadian Oil and Gas Stakes. Toronto: McClelland & Stewart, 1982. Culkin, Richard J. “A Study of the Development of the Alberta Oil Industry.” BA thesis, University of British Columbia, 1951. David Suzuki Foundation. Climate Change. http://www.davidsuzuki.org/issues/climate-change/ (accessed May 27, 2013). Davis, Edward. M. Canada’s Oil Industry. Toronto: McGraw-Hill, 1969. Davis, John. Oil and Canada-United States Relations. Washington: National Planning Association and Toronto: Private Planning Association of Canada, 1959. Davis, Tracy R. “The Role of First Nations in Oil & Gas Development under Federal Regulatory Regimes: Options for Change & Lessons from New Zealand.” LLM thesis, University of Ottawa, 2001. Doern, G. Bruce, ed. 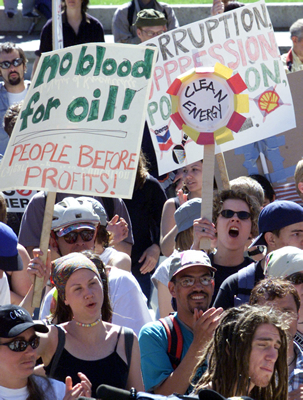 Canadian Energy Policy and the Struggle for Sustainable Development. Toronto: University of Toronto Press, 2005. Dormaar, Johan F. and Robert A. Watt. Oil City: Black Gold in Waterton Park. Lethbridge: Lethbridge Historical Society, 2010. Dukert, Joseph M. The Evolution of the North American Energy Market. Washington: Center for Strategic and International Studies, 1999. Policy Papers on the Americas, Vol. 10, Study 6. Dyack, Brenda J. Federal Government Policies to Canadianize the Petroleum Industry. Ottawa: Library of Parliament, Research Branch, 1982. Efford, Ian E., Barbara M. Smith, and M. Uffelman. Observed Costs of Oil and Gas Reserves in Alberta, 1957-1979. Ottawa: Economic Council of Canada, 1983. Embleton, Richard. Oilephant Down: Canada at the End of the Age of Cheap Energy. Seattle: Publish/America, 2006. Embry, Ashton F. Fifty years of Canadian Petroleum Geology, Tulsa: American Association of Petroleum Geologists, 1978. Emery, Alan R. A Review of the Literature of Oil Pollution with Particular Reference to the Canadian Great Lakes. Toronto: Ontario Ministry of Natural Resources, 1972. English, John, and Réal Bélanger, eds. Dictionary of Canadian Biography Online http://www.biographi.ca/index-e.html (accessed 22 May 2013). Environment Canada. Summary of Spill Events in Canada, 1984-1995. Ottawa: Government of Canada, 1998. _____. Canada’s Action on Climate Change, Government of Canada. http://www.climatechange.gc.ca/default.asp?lang=En&n=E18C8F2D-1 (accessed May 27, 2013). Finch, David A. “Turner Valley Oilfield Development, 1914-1945.” MA thesis, University of Calgary, 1985. _____. 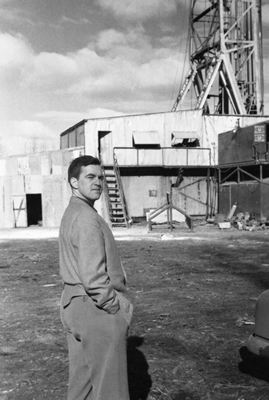 Traces through Time: The History of Geophysical Exploration for Petroleum in Canada. Calgary: Canadian Society of Exploration Geophysicists, 1985. _____. 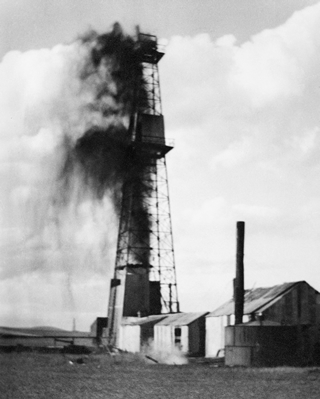 Hell’s Half Acre: Early Days in the Great Alberta Oil Patch. Calgary: Heritage Books, 2005. _____. Leduc: A Living History. Calgary: Alberta Oil Magazine, 2007. _____. Pumped: A Guide to the Canadian Petroleum Industry. Calgary: Fifth House, 2007. _____. “The History of the Conservation Board: The Story of the Important but Unloved Enforcer,” Alberta Oil Magazine, July 29, 2008, http://www.albertaoilmagazine.com/2008/07/the-history-of-the-conservation-board/ (accessed May 27, 2013). Finch, David, and Gordon Jaremko. Fields of Fire: An Illustrated History of Canadian Petroleum. Calgary: Detselig Enterprises, 1994. “First Oil Well in Western Canada National Historic Site of Canada” National Historic Sites in the Mountain National Parks, Parks Canada. http://www.pc.gc.ca/docs/v-g/pm-mp/lhn-nhs/puits-well_e.asp (accessed May 22, 2013). Fluet, Colette Marie Yvonne. “The Involvement of Aboriginal Groups and Environmental Organizations in a Regional Planning Strategy for the Northern East Slopes of Alberta.” MSc thesis, University of Alberta, 2003. Fraser, J. W., and W. G. Lugg. Petroleum and Natural Gas Industry in Canada, 1963-1968. Ottawa: Department of Energy Mines and Resources, Government of Canada, 1970. Fraser, W. B. 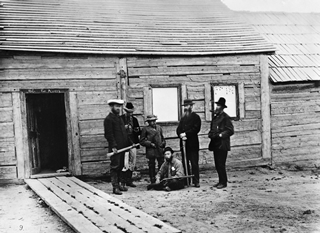 Location of First Oil Well in Western Canada: Report of Findings. Calgary: W. B. Fraser, 1968. Freeman, James Morton. Biggest Sellout in History: Foreign Ownership of Alberta’s Oil and Gas Industry and the Oil Sands. Edmonton: Alberta New Democratic Party, 1966. Gallaway, William Anthony. “Alberta Government Control of the Provincial Oil Industry by Legislation and Regulation.” MA thesis, Princeton University, 1960. Garstad-Roseunau, Elsie, ed. Oil Patch Recollections of ‘The Way Things Were’. Edmonton: Lifelines Etc., 1997. George, Roland. “Alberta’s Energy Future: Focus on Oil,” National Energy Board. http://www.neb-one.gc.ca/clf-nsi/archives/rpblctn/spchsndprsnttn/2008/lbrtnryftrfcsnl/lbrtnryftrfcsnl-eng.html (accessed May 23, 2013). Gillies, Robert Geoffrey. “The Canadian State and the Oil Industry: Accumulation and Legitimation.” MA thesis, University of Waterloo, 1984. Gilmore, Bernie. Oil Boom: Music to Celebrate the Canadian Quest for Oil. Strathroy: Bernie Gilmore, 2008. Glatthorn, Raymond Howard. “Oil in Western Canada and the Need for an Adequate System of Pipe Lines.” MS thesis, University of Pittsburgh, 1951. Gonick, Cy. Energy Security and Climate Change: A Canadian Primer. Black Point, NS: Fernwood, 2007. Goodall, D. P. Historical Sketch of Oil and Gas Conservation in Alberta. Edmonton, AB: Reprint Electronic ERCB Publication, 1957. Gow, Sandy. 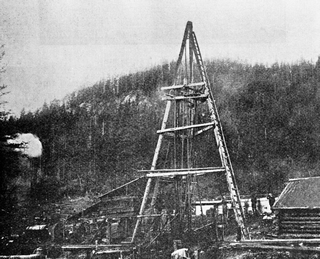 Roughnecks, Rock Bits, and Rigs: Evolution of Oil Well Drilling Technology in Alberta, 1883-1970. Calgary: University of Calgary Press, 2005. Graham, Shirley. 50 years: The Edmonton Petroleum Club. Edmonton: The Edmonton Petroleum Club, 2000. Grant, Hugh M. “The Petroleum Industry and Canadian Economic Development: An Economic History, 1900-1961.” PhD thesis, University of Toronto, 1986. Gray, Earle. Wildcatters: The Story of Pacific Petroleums and Westcoast Transmission. Toronto: McClelland and Stewart, 1982. _____. 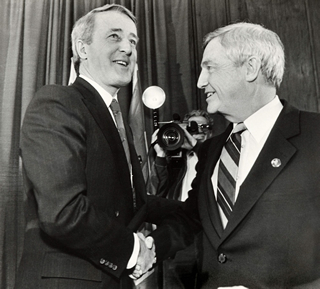 Forty Years in the Public Interest: A History of the National Energy Board. Vancouver: Douglas & McIntyre, 2000. Habteyonas, Michael. “Economic Modeling of Oil and Gas Exploration Activities in Alberta.” PhD thesis, University of Alberta, 2008. HBCHeritage. Hudson’s Bay Company (HBC). http://www.hbcheritage.ca/hbcheritage/home (accessed May 22, 2013). Helliwell, John F., Mary E. MacGregor, R. N. McRae, and A. Plourde. Oil and Gas in Canada: The Effects of Domestic Policies and World Events. Toronto: Canadian Tax Foundation, 1989. Hilborn, James D., ed. Dusters and Gushers: The Canadian Oil and Gas Industry. Toronto: Pitt Publishing Co., 1968. Holbrook, E. M. Oil from the Earth: A Story of Oil and Its Development in Canada. Toronto: Imperial Oil Ltd., 1957. Howard, Peter. 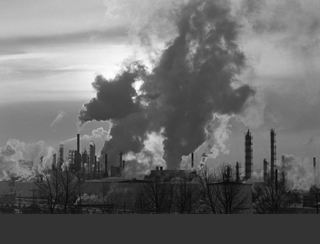 Economic Impacts of the Petroleum Industry in Canada. Calgary: Canadian Energy Research Institute, 2009. Hunter, Beatrice E. Last Chance Well: Legends & Legacies of Leduc No. 1. Edmonton: Teddington Lock, 1997. Hwy 63. Songs from the Oil Patch [music]. Calgary: Ten Trees/Hwy 63 Music Ventures Ltd, 2007. Independent Petroleum Association of Canada. Petroleum Industry in Canada, 1858-1986, Calgary: IPAC, 1986. _____. IPAC: 30 Years: Representing Independent Oil & Gas since 1960. Calgary: IPAC, 1990. Institute for U.S.-Canada Business Studies. Cross-Border Oil & Gas: Canada-U.S .Energy Trade. New York: Institute for U.S.-Canada Business Studies, Pace University, 1991. Istvanffy, Daniel I. “Turner Valley: Its Relationship to the Development of Alberta’s Oil Industry.” MA thesis, University of Alberta, 1950. Jackman, C. W. 75 Years of Oil and Gas Exploration in Alberta, 1883-1958: Background Information. Edmonton: no pub., 1958. Jobin, Jacques. 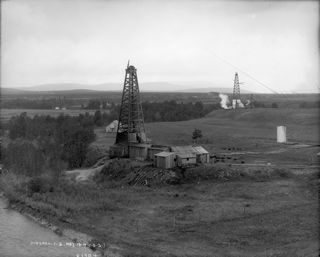 The Supply of Oil and Natural Gas Discoveries in Albert. Ottawa: Economic Council of Canada, 1983. Johnson, Dana. “First Oil Gusher Story May be Flawed” Petroliatopic.com August 25, 2010, http://www.petroliatopic.com/2010/08/25/first-oil-gusher-story-may-be-flawed-researcher (accessed May 22, 2013). Jones, Llewellyn May. “The Search for hydrocarbons: petroleum and natural gas in western Canada, 1883-1947.” MA thesis, University of Calgary, 1978. Karasek, Colin, and Pamela Karasek. Oil and Gas in Canada: A New Environment for Development. London: Catermill International, 1985. Kelly, Shauna. Since It Began. Calgary: Canadian Association of Petroleum Landmen, 2002. Kemp, Emory. 19th Century Petroleum Technology in North America. Morgantown, VA: Institute for the History of Technology and Industrial Archaelogy, West Virginia University, 2008. Klein, Seth, ed. Costly Energy: Why Oil and Gas Prices are Rising and What We Can Do About It: A Collection of Progressive Analysis and Policy Alternatives. Ottawa: Canadian Centre for Policy Alternatives, 2001. Kuhn, Oliver. “Ancient Chinese Drilling” E&PMag. Hart Energy. http://www.epmag.com/Production-Drilling/Ancient-Chinese-drilling_4266 (accessed May 22, 2013). Laxer, James. Canada’s Energy Crisis. Toronto: James Lorimer, 1975. _____. Oil and Gas: Ottawa, The Provinces and the Petroleum Industry. Toronto: Lormier, 1983. Le Riche, Timothy. The Alberta Oil Patch. Edmonton: Folklore Publishing, 2007. Leduc Rural Historical Association. Trails Ploughed Under: Rural Leduc. Leduc: Leduc Rural Historical Association, 1995. Life of a Rock Star, Library and Archives Canada. Government of Canada. http://www.lac-bac.gc.ca/rock/index-e.html (accessed May 22, 2013). Lizee, Erik. “Rhetoric and Reality: Albertans and Their Oil Industry under Peter Lougheed.” MA thesis, University of Alberta, 2010. Lorimer, James. Canada’s Oil Monopoly: The Story of the $12 Billion Rip-Off of Canadian Consumers: Highlights from the State of Competition in the Canadian Petroleum Industry, the Government Report That Alleges Monopoly Practices by Canada’s Big Oil Companies. Toronto: Lorimer, 1981. Lucas, Alastair R. and Constance D. Hunt. Oil and Gas Law in Canada. Calgary: Carswell Legal Publications, 1990. Lucier, Paul. Scientists and Swindlers: Coal, Oil and the Ethics of Scientific Consulting in America, 1820-1890. Baltimore: Johns Hopkins University Press, 2008. MacGregor, James. A History of Alberta. Edmonton: Hurtig Publishers, 1972. MacGregor, Mary E. and Andre Plourde. Investment Trends and Changing Policies in the Canadian Oil and Gas Industry. Toronto: Institute for Policy Analysis, University of Toronto, 1987. Mansell, Robert L., and Ron Schlenker. Energy and the Alberta Economy: Past and Future Impacts and Implication. Calgary: University of Calgary, Institute for Sustainable Energy, Environment and Economy, 2006. Maugeri, Leonardo. The Age of Oil: The Mythology, History, and Future of the World’s Most Controversial Resource. Westport, CT: Praeger, 2006. May, Gary. Hard Oiler! : The Story of Canadians’ Quest for Oil at Home and Abroad. Toronto, Dundurn Press, 1998. McFadyen, Hector J. “Field Pricing of Natural Gas in Alberta, 1955-1971.” MA thesis, University of Calgary, 1972. McIntosh, Robert. Petroleum Industry in Canada since 1947. Ottawa: National Museum of Science and Technology, 1992. McKay-Panos, Linda. Public Access to Information in the Oil and Gas Development Process. Calgary: Alberta Civil Liberties Research Centre, Canadian Institute of Resources Law, 2007. McKenzie-Brown, Peter, Gordon Jaremko, and David Finch. The Great Oil Age: The Petroleum Industry in Canada. Calgary: Detselig Enterprises, 1993. 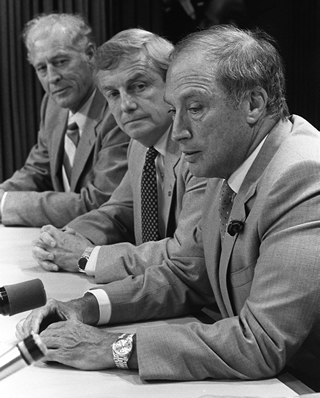 McKenzie-Brown, Peter, and Hans Maceij. Reference Points—Canadian Oil and Gas: The First One Hundred Years. Calgary, Canadian Petroleum Association, 1984. _____. Canadian Oil and Gas: The First One Hundred Years. Calgary, 1989. McLellan, Amy. Canada Oil, Gas and Energy. London: St. Ives (Roche), 2002. McNeill, D. F. A Selected Bibliography on the History of the Canadian Oil Industry. Ottawa: no pub., 1957. McQuarrie, John. The Alberta Oil Patch: Then & Now. Ottawa: Magic Light Publishers, 2010. Medicine Hat Oilmen’s Association. Medicine Hat Oilmen’s 25th Anniversary History Book. Medicine Hat: Medicine Hat Oilmen’s Association, 1999. Merrell, Richard Corbin. “The Development of Petroleum and Natural Gas in Alberta: A Study in Economic Geography.” MA thesis, Ohio State University, 1953. Mills, Janice. Crude Beginnings: A History of the Petrolia Discovery. Petrolia: Petrolia Discovery Foundation, 2000. Mills, Robin M. The Myth of the Oil Crisis: Overcoming the Challenges of Depletion, Geopolitics and Global Warming. Westport: Praeger, 2008. Morrell, G. R. ed. Petroleum Exploration in Northern Canada: A Guide to Oil and Gas Exploration and Potential. Ottawa: Indian and Northern Affairs Canada, Government of Canada, 1995. Morritt, Hope. 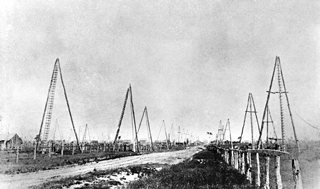 Rivers of Oil: The Founding of North America’s Petroleum Industry. Kingston: Quarry Press, 1993. Muller, Christine Eva. “Oil and Its Impact on Economics and Financial Markets.” MA thesis, University of St. Gallen, 2009. Nickle, Carl. The Valley of Wonders: The Story of Turner Valley. Calgary: The Oil Bulletin, 1942. _____. Oil and Gas in Alberta—the Real Story. Edmonton: Douglas Print, Co., 1949. _____. The Story of Pincher Creek. Calgary: Commowwealth Press, 1952. Odland, Sarah K. “Strategic Choices for Managing the Transition from Peak Oil to a Reduced Petroleum Economy.” MA thesis, Mercy College, New York, 2006. “Oil” Our Business, Alberta Energy, Government of Alberta. http://www.energy.gov.ab.ca/OurBusiness/Oil.asp (accessed May 16, 2013). “Oil and Gas” The Canadian Atlas Online. Canadian Geographic. http://www.canadiangeographic.ca/atlas/themes.aspx?id=oilandgas⊂=oilandgas_basics_past〈=En (accessed May 16, 2013). Owen, Edgar Wesley. Trek of the Oil Finders: A History of Exploration for Petroleum. Tulsa: American Association of Petroleum Geologists, 1975. Pacific Business & Law Institute. Oil and Gas Exploration and Development and Aboriginal Interests. Vancouver: The Institute, 2001. Parkland Institute. Canadian Centre for Policy Alternatives. Private Gain or Public Interest: Reforming Canada’s Oil and Gas Industry. Edmonton: Parkland Institute, 2009. 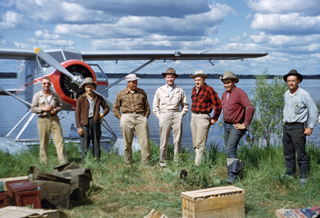 Petroleum History Society http://www.petroleumhistory.ca/index.html (accessed May 16, 2013). Petrolia – Canada’s Victorian Oil Town. Petrolia Heritage Committee. http://www.petroliaheritage.com/ (accessed May 22, 2013). Plourde, Andre. Oil and Gas in Canada: A Chronology of Important Developments, 1938-1988. Toronto: University of Toronto, Institute for Policy Analysis, 1989. _____. Energy and the NAFTA. Toronto: C. D. Howe Institute, 1993. _____, ed. Experimenting with Freer Energy Markets: Lessons from the Last 20 Years and Prospects for the Future. Cleveland: International Association for Energy Economics, 1998. Polo, Marco. The Travels. Ronald Latham, ed. London: Penguin Classics, 1958. Pratt, Wanda, and Phil Morningstar. Early Development of Oil Technology: Oil Tools and Equipment. Oil Springs, ON: Oil Museum of Canada, 1987. Purdy, Gordon A. Petroleum: Prehistoric to Petrochemicals. Toronto: Copp Clark, 1957. Rennie, Jr., Jim. A Brief History of the Petroleum Industry in Canada. Calgary: Canadian Petroleum Association, 1979. Ross, William R. Oil Pollution as an International Problem: A Study of Puget Sound and the Strait of Georgia. Seattle: University of Washington Press, 1973. 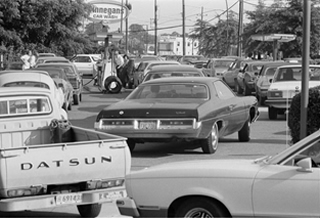 _____, The Evolution of the Oil Industry. New York: Doubleday, Page & Co., 1920. Rowat, Miles Ryan. Boom Times, Canada’s Crude Petroleum Industry. Ottawa: Statistics Canada, 2006. “Rumsey” Areas of Concern, Wildlands. Alberta Wilderness Association. http://albertawilderness.ca/issues/wildlands/areas-of-concern/rumsey (accessed May 22, 2013). Scarfe, B. L., and E. Rilkoff. Financing Oil and Gas Exploration and Development Activity, Discussion paper 274, Ottawa: Economic Council of Canada, 1984. Shah, Sonia. Crude: The Story of Oil. New York, NY: Seven Stories Press, 2004. Sheep River Historical Society. 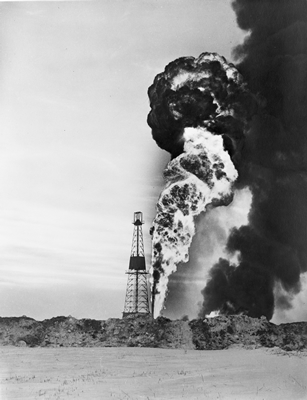 In the Light of the Flares: History of Turner Valley Oilfields. Turner Valley: Sheep River Historical Society, 1979. Shell Oil Company of Canada. Canadian Oil: A Century of Progress, Toronto: Shell Oil Company of Canada / Shell News, 1952. Shell Oil Company of Canada, Chemical Division. Canadian Petrochemical Industry. Toronto: Ryerson, 1956. Simpson, Robert A., and R. L. Borden. A Survey of the Petroleum Industry in Canada, 1957 and 1958. Ottawa: Department of Mines and Technical Surveys, 1959. Simpson, Robert A., R. L. Borden, and D. W. Rutledge. A Survey of the Petroleum Industry in Canada, 1962 and 1963. 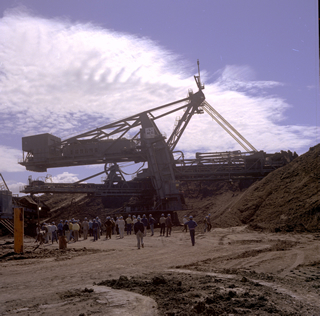 Ottawa: Natural Resources Division, Department of Mines and Technical Surveys, 1965. Sinclair, Peter R. Energy in Canada. Toronto: Oxford University Press, 2010. Sindell, Peter and Linda Robinson. Oil in Canada, 1867-1967. Toronto: Sindell and Company, 1985. Smil, Vaclav. Energy in World History. Boulder: Westview Press, 1994. Smith, Philip. 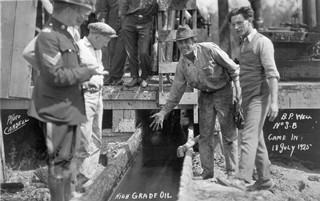 The Treasure-Seekers: The Men Who Built Home Oil. Toronto: Macmillan of Canada, 1978. Stenson, Fred. The Last Stack: Entrepreneurism and the Environment. Calgary: Canadian Environmental Technology Advancement Corporation - West, 2000. Sullivan, Robert Edwin. Conservation of Oil & Gas, A Legal History, 1958. Section of Mineral and Natural Resources Law, American Bar Association, 1960. Tait, Samuel W. Jr. The Wildcatters: An Informal History of Oil-Hunting in America. Princeton: Princeton University Press, 1946. Telford, Rhonda Mae. “First Nations and Oil and Gas Development: Negotiation and Resistance” Chap. 5 in “The Sound of the Rustling of the Gold Is Under My Feet Where I Stand, We Have a Rich Country: a History of Aboriginal Mineral Resources in Ontario”. PhD thesis, University of Toronto,1996. Thackray, Michael A. Halsbury’s Laws of Canada. Oil and Gas/Partnerships. Markham, ON: LexisNexis, 2009. Tobin, Myreene. “Leading the Way in Oil and Gas Sustainable Development.” MA thesis, Royal Roads University, 2001. Trailblazers at NRCan. Natural Resources Canada. http://www.nrcan.gc.ca/trailblazers/285 (accessed May 16, 2013). Uhler, Russell S. The Potential Supply of Crude Oil and Natural Gas Reserves in the Alberta Basin. Ottawa: Economic Council of Canada, 1986. Van de Panne, C. The Development of Oil and Gas Reserves in Alberta. Calgary: University of Calgary, Department of Economics, Discussion papers series, 1971. Van Vactor, S. A. “Flipping the Switch: The Transformation of Energy Markets.” PhD thesis, Scott Polar Institute, Cambridge University, 2004. Ver Weibe, Walter A. 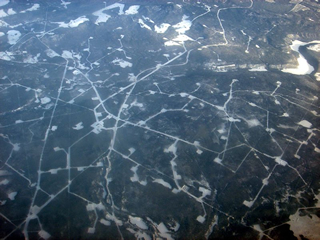 Oil Fields in North America. Wichita: Self-published, 1949. _____. North American Petroleum. Wichita: Self-published, 1952. Vlavianos, Nickie. Albertans’ Concerns about Health Impacts and Oil and Gas Development: A Summary. Calgary: Alberta Civil Liberties Research Centre: Canadian Institute of Resources Law, 2006. White, Israel Charles. “Important Epochs in the History of Petroleum and Natural Gas.” Geological Society of America Bulletin 32: 1 (March 1921): 171-186. Williams, David Ivor. “Environmentalism, Development and the Last Frontier: The Rise of Environmental Thought and the Canadian North, 1958-1974.” MA thesis, University of Alberta, 1995. Wylie, William N. T. The History of the Petroleum Industry in Alberta. Unpublished background paper. Ottawa: Historic Sites and Monuments Board of Canada, Government of Canada 1990. Wynn, Graeme. Canada and Arctic North America: An Environmental History. Santa Barbara, CA: ABC-Clio, 2007.